As with any line of work, working in the carpet and flooring industry…you pick up some good stories. You learn things you never thought you would and pick up skills that you definitely never thought you would. In fact, we frequently pick up many objects that we never thought we would, but those are stories for another post and another day. That being said, we consider ourselves the utmost masters and question answer-ers (yes, it’s a word now) on anything flooring or carpet related. You name it, we’ve seen it. Floors that were peeling, floors that had molded, floors that had flooded, floors in every color and texture. Psychedelic, fuzzy, blue carpet? More often than you’d think. Seven different layers of flooring? More often than we’d like. The most common facial expression we see in our customers upon our arrival is that of apology. Apology! What for? 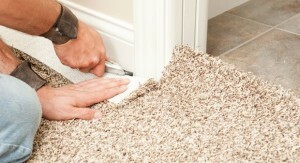 We love what we do and we want you to love your carpet or flooring as much as we do. So we want to meet you. Feel free to give us a call and we’ll chat with you however long you’d like, but if you can, come visit us! We recently moved our location from Bayswater to our expanded, enhanced showroom in Kilsyth on 10/257 Colchester Road. We’re no strangers to the area, having served it for more than twenty years now. We love the area, so that’s one reason to stick around, but we also really love our customers. We pride ourselves on exceptional customer service. This means that while we may not share our stash of stories right away, we want to help you create your own. Each member of our team has a vested interest in success– namely your happiness. Every house or business is unique. Every room within every house or business is unique. And it’s such an exciting journey to make your home or business your own and decide what its look and feel will be. This is the perfect example of needing to work from the ground up. Your flooring is literally going to be the foundation for your design aesthetic, whatever it may be. Don’t worry, this is a good thing! With Knox Carpets, you’re not pigeon-holed because we have such a huge variety of types of flooring. You’re not pigeon-holed and you’re actually armed with our knowledge as well as your vision. Because we’ve seen what works and what doesn’t in so many homes and businesses, we’re not afraid to make our recommendations. If we see a basement room that needs as much warmth as possible during the winter, we’ll probably recommend carpet to seal in warmth. Conversely, if we’re talking about an attic room that looks small and shabby, we can discuss different types of bamboo and vinyl that will give it a clean and modern look. Hopefully we’ve encouraged you to reach out but if you have questions, give us a shout and let us know how we can help you. We hope to see or hear from you soon.